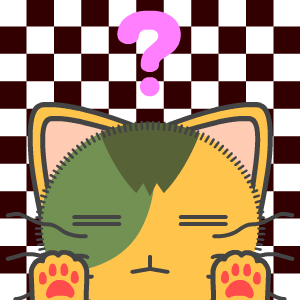 Just when the moments arise when I’m seriously considering deleting my blog and never ever thinking about it again, I find gems like Cat-like Icon Maker. So I made a cat. Because. It was originally supposed to be my sister in . . . um . . . cat form, with her emotionless expression and her freaky suspicious eyes (no, I’m kidding, sis. Really) but the question mark was way too cute not to add. I want to make cats for everyone I know now, so watch out for more kitties on my blog. My readers (you, my dears) won’t be spared. Beware.